. : Make do shearing. 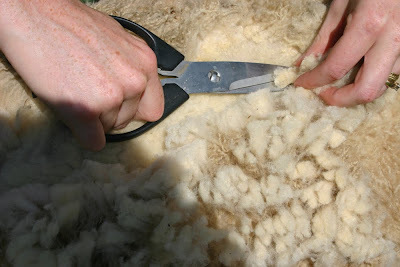 Shearing by hand. With kitchen shears. Make do shearing. 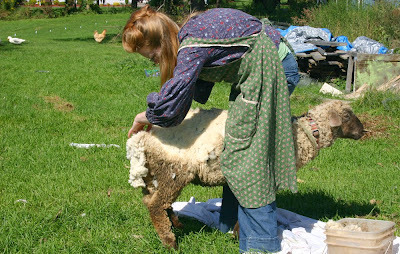 Shearing by hand. With kitchen shears. We went to a fall festival this past weekend and saw them doing the very same thing. Looks like you all did a good job. Will you sell the wool or spin it? 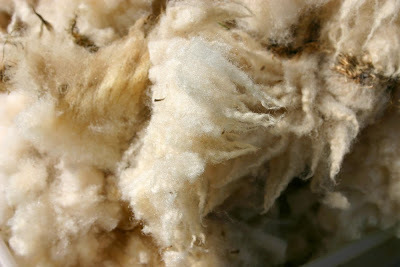 Jenn, I think I'll just clean the wool and do some felting crafts with the kids with it. Probably some hand dying too! I don't think my shearing job would make it sellable! Diane - are you questioning my animal husbandry? Of course he's still alive. For a few more weeks. Then into the freezer! He's had a happy life. I almost had to do this, but we had a stinking cool summer and I think Hershey was better off with the wool =) Now on the other hand the temps are HOT and it's too LATE to shear the poor girl. 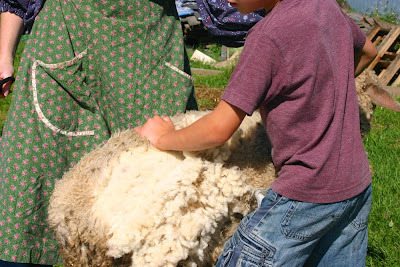 We just bought a Katahdin ram and 2 ewes and are so excited about having short haired sheep. 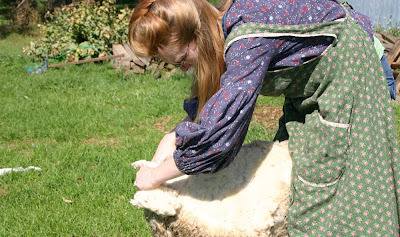 I have to laugh a few years back when I was raising sheep I too sheared them by hand. I have to say I much prefer it too using a machine. That is probably just my pioneer ways, though.